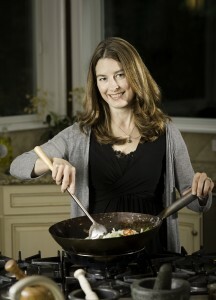 the author of The Gluten-Free Asian Kitchen (Celestial Arts 2011). Laura contributes articles and recipes to many magazines as well, including Prevention, Living Without, Easy Eats, and Portland’s MIX magazine. She is the former associate editor of Food & Wine’s cookbook division. 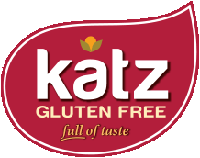 Laura lives in Portland, Oregon with her husband and two children, where she’s been gluten-free since 2007. 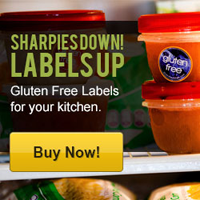 You can find her blog, “Notes from a Gluten-Free Kitchen”, at www.laurabrussell.com. Or visit her on Twitter @laurabrussell or Facebook at Notes from a Gluten-Free Kitchen by Laura B. Russell. 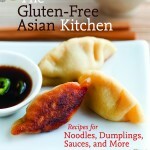 The Gluten-Free Asian Kitchen: Recipes for Noodles, Dumplings, Sauces, and More. Copyright @ 2011 by Laura B. Russell. and the Crown Publishing Group, Berkeley, CA. Photo Credit: Leo Gong. 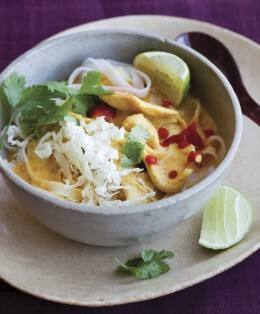 This curry soup, chock full of chicken, noodles, and a rich flavorful broth, makes a satisfying one-dish meal. Use the flat rice noodles similar to linguine (pad Thai noodles); thinner rice vermicelli may clump. If you plan on eating all the soup immediately, you can mix the noodles right into the broth; otherwise, keep them separate until you assemble the soup in bowls. As the soup cools, the noodles will soak up every last bit of liquid, leaving you with some tasty noodles, but no broth. Cook the noodles in a large pot of boiling water until just done, about five minutes, or according to package directions. (Remove a noodle with tongs and taste it for doneness.) Drain the noodles in a colander and rinse with cold water to stop the cooking. Set the noodles aside until ready to use. In a small bowl, toss the chicken with the fish sauce. Let the chicken marinate while you prepare the soup. In a medium pot, heat the oil over moderate heat. Add the onion and cook, stirring occasionally, until starting to brown, about ten minutes. Stir in the garlic, curry paste, turmeric, and coriander and cook, stirring, for about a minute. Add the salt, coconut milk, and chicken broth and bring to a boil. Lower the heat and simmer, partially covered, to infuse the flavors, ten to fifteen minutes. Add the chicken and fish sauce to the simmering broth. Continue cooking until the chicken is just done, about five minutes. To serve, divide the noodles among four bowls and ladle the soup over the top. 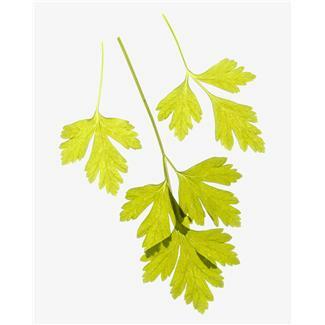 Top with the cilantro, cabbage, a squeeze of lime juice, and hot sauce to taste. Brew up a delicious seafood curry soup: Instead of the chicken, add a pound of medium shrimp, bay scallops, crab, or a combination of these (tossed with the fish sauce) and simmer for five minutes. Love curry, love coconut, love cilantro = great recipe!